Local business listings are interesting. They’re fairly straight forward but can be confusing at times. In this blog post we’re going to discuss anything and everything local business listing related, so hang on tight! Local business listings are basically free (normally) profiles you can get for your local business on local search directories. You traditionally get your own page for your local business on a local search directory to show off your local business name, address, phone, website, and sometimes more details such as consumer reviews, business logo, photos, videos, hours of operations, categories (what services you provide), and much more. Notice the parts highlighted in blue where you can see their local business name, address, phone number (NAP for short), and website. Also notice the green parts where they have a category, photos, and reviews. Not all local search directories allow you to have a more than your NAP and website, it really just varies from local search directory to local search directory. 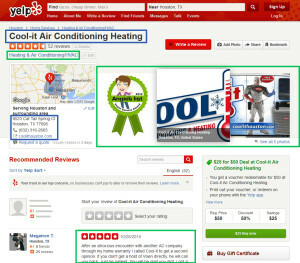 Is there a difference between local business listings and local search directories? A local search directory is simply a website that allows a consumer to search for a local service in their area and then the local search directory brings up a variety of companies as an option for that searcher. A local business listing is a profile of a local business on this local search directory. So, when a local consumer does a search on the local search directory, they get a whole list of local business listings to choose from. For example, on another local search directory, such as Angie’s List. If a consumer did a search on Angie’s List for “Plumbers in New York”, Angie’s list would return a whole host of local business listings for the consumer to choose from. 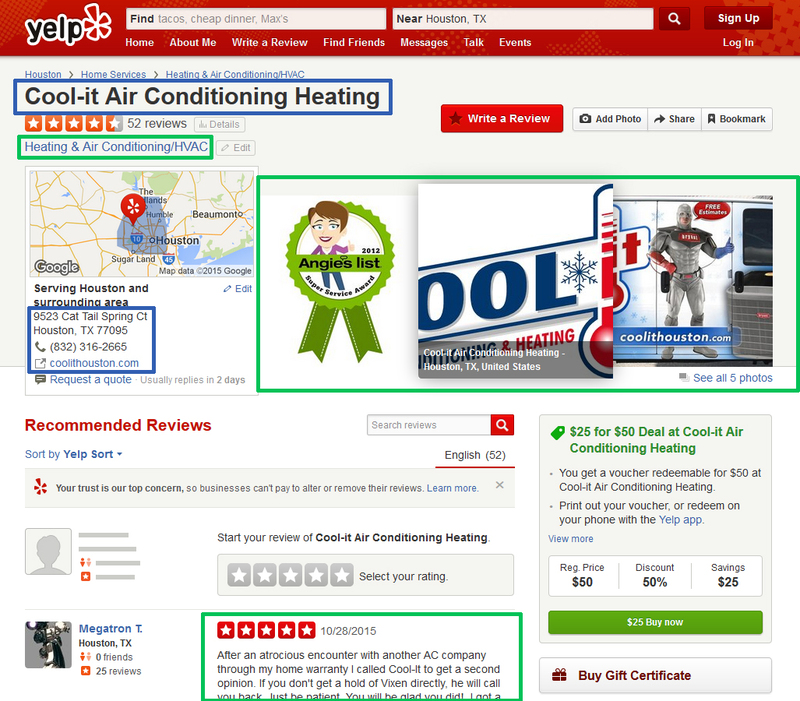 What’s so special about local business listings? Everyone wants local business listings because they provide free (again, normally) exposure for their local business to consumers who may be searching these local search directories. However, that is normally secondary. The real reason everyone wants local business listings is the more local business listings you have, the higher your local business will rank on Google. 90% of local consumers, when they’re looking for a local product, are going to use a search engine to find it. And the most popular search engine by far is Google. Now, it takes a whole lot more than just local business listings to rank your business past your competitors on Google, but it’s a pretty important part of it. 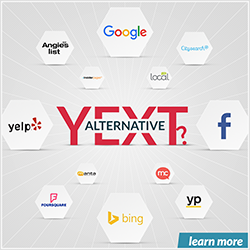 Keep in mind though that signing up for some of the more popular local search directories like a Yelp or an Angie’s List can result in free business if a consumer is looking for your type of business on Yelp and finds you. Okay, how many local business listings should I sign up for? We have a list of 85 below, and that’s probably enough. Only a handful of them have the potential to get you actual business directly by having consumers search you on their website. Actually, there’s probably only 2: Yelp and Angie’s List. That means for the other 83, you’re really just signing up for them so Google will find them and rank your local business higher on Google search. After you have 85 local business listings, there’s going to be vastly diminishing returns when signing up for more local business listings from Google’s perspective. Meaning, that the 86th, 87th, 88th listing etc. won’t really be worth the effort as it won’t make your ranking go up that much higher. 85 is a good solid number and you’ll have your hands full with those 85 anyway and signing up for local business listings can be time consuming, not to mention energy draining. All of these are free to be on. A few of them try to act like they’re going to charge you but there’s always a free option. If you can’t find it, go to their contact us page and ask them how to do it and they should respond. How do I sign up for local business listings? Each local search directory has its own method for allow local businesses to have a free listing. The main place to start is to see if your profile is already on their website. In order to do this, just search on their homepage for your business name and put in your city and state. If your local business listing comes up, you can try to claim it. If it doesn’t, you’ll have to create a local business listing for yourself. We’ve detailed both processes below. You should claim your local business listing, even if you don’t need to change anything like the name, address, phone (NAP), or website. Claiming allows you make any changes if you need to, while also being able to add more information, like a description, photos, hours, etc. And it also has the added bonus of no one else being able to claim your profile, like a competitor or someone else. Again, different local search directories handle claiming differently. However, if you find your local business listing, many times if you click on it, it will say somewhere on the profile “claim this listing”, “is this your listing?” or something along those lines. When you click on that, it should take you through claiming your profile. If there’s nothing on the profile that says that, try to find their FAQ page. Sometimes they give directions on how to claim your business that way. If that fails, try to sign up for a new listing (without actually doing it). Sometimes at the beginning of this process, they ask you to enter in your phone number to see if they already have a business listing for you before they add another business listing. If they do, they’ll find your profile and you’ll be able to claim it that way. As a measure of last resort, if you can’t find ANYTHING on how to claim, use the “contact us” page and find out from them directly how to claim your profile. If you search for your local business on the local search directory and nothing comes up, you will need to add a new listing. Again, different local search directories handle this differently. The first place to look is in the search results. Sometimes, when you search for your business and they can’t find it, they’ll say something like “Can’t find your business? Add it here” and then you’re in business. If that doesn’t work, look at the top of their website, the bottom of their website, and then on their homepage to see if they mention anything about “adding a business”. If that doesn’t work, check out their FAQ page to see if they detail how to add a business. If all that fails, resort to the “contact us” form and find out for yourself directly. Keep in mind that some of these local search directories are going to ask you to verify you’re the owner of the business. Normally, they will do this through phone verification. A robot will call your company phone, give you a code, and you’ll input it into the local search directory, thereby claiming the profile. But phone verification only happens for around 5% of local search directories and it’s always the big players like Google, Yelp, Bing, etc. because they want to make sure you are authorized to list the business. They don’t want your competitors coming in and messing up your data. Also know that sometimes your local business listings won’t go live immediately. They will have to be approved by someone working for the local search directory. Again, they want to make sure their local business listings are correct. Do local business listings cost anything? Not generally, no. If they do cost something, it’s not worth signing up for normally. Because if it costs something, not as many local businesses will be on that local search directory. And consumers don’t want to search a local search directory that doesn’t have a variety of local business to choose from for their local needs. Also, if they’re not a quality source of local businesses, Google will probably ignore them. For those reasons, just ignore local search directories that ask you to pay money. But don’t get that confused with local business listing services. Those do cost money and can be very beneficial. There are services out there that will do all the leg work of listing you on local search directories for a fee. For instance, we actually provide a service that lists you on those 85 local search directories above. These services can be a good option for you if you don’t want to take the time to sign up for local business listings by hand. Just outsource it to someone else. Why does Google rank me higher for having local business listings? Google is just a machine trying to think like a human. With local business listings, they’re trying to measure what they call prominence. They want to see how prominent your business is on the internet. What they’re really trying to do, is measure how popular you are in your city. You could also call this branding. Google is trying to determine online what your offline brand/reputation is like. So, the more popular you are online, meaning the more places you can be found online (ie local business listings) the more confident Google is that you’re popular offline as well. And that’s why they will rank you higher for having many local business listings. As I mentioned earlier, local business listings aren’t enough to get you to the top of Google in your city. You need more. If you’d like to learn how that works, you can actually take our video course on the science of ranking higher on Google as a local business and learn how to do Local SEO. When it comes to local business listings, that’s pretty much all you need to know. Have any questions? Leave a comment below and we’ll be sure to get back with you.